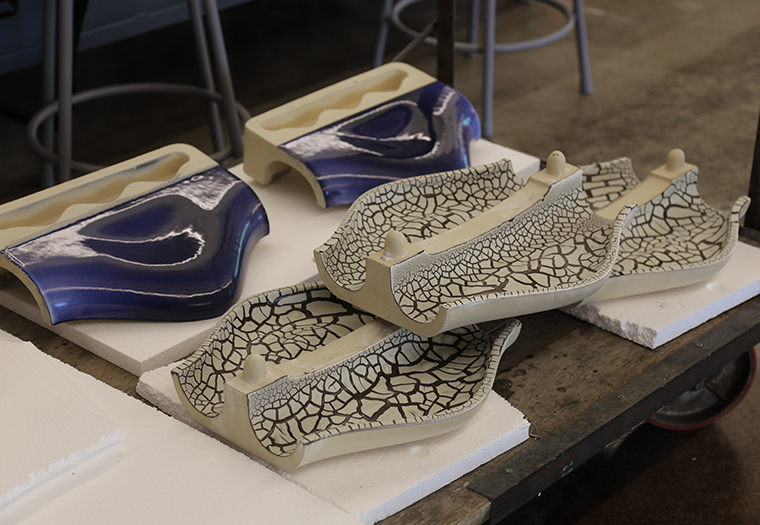 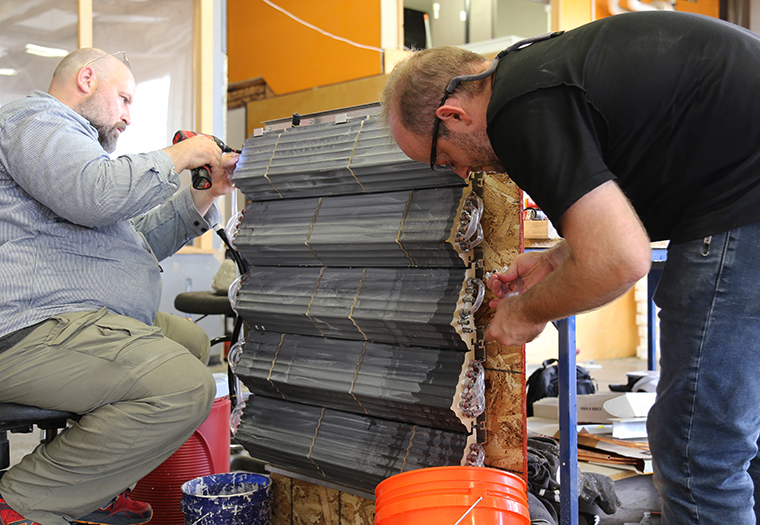 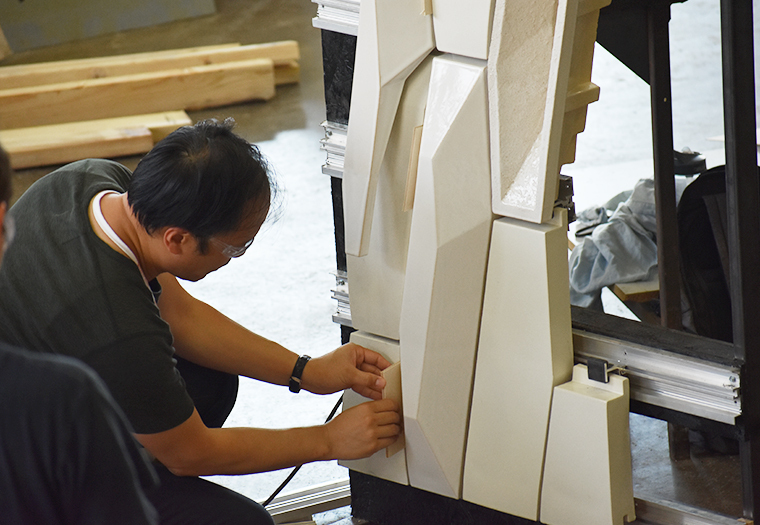 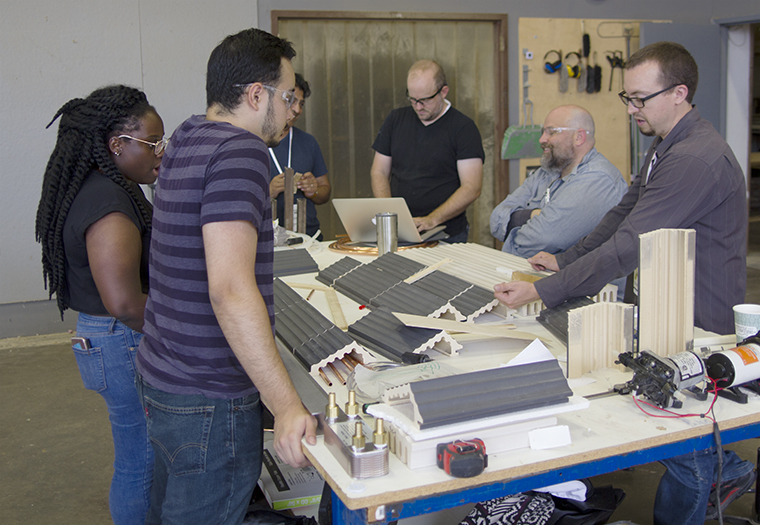 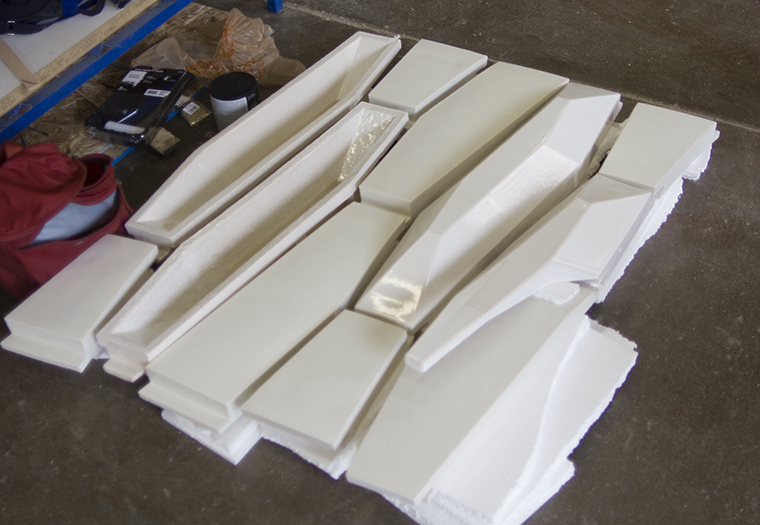 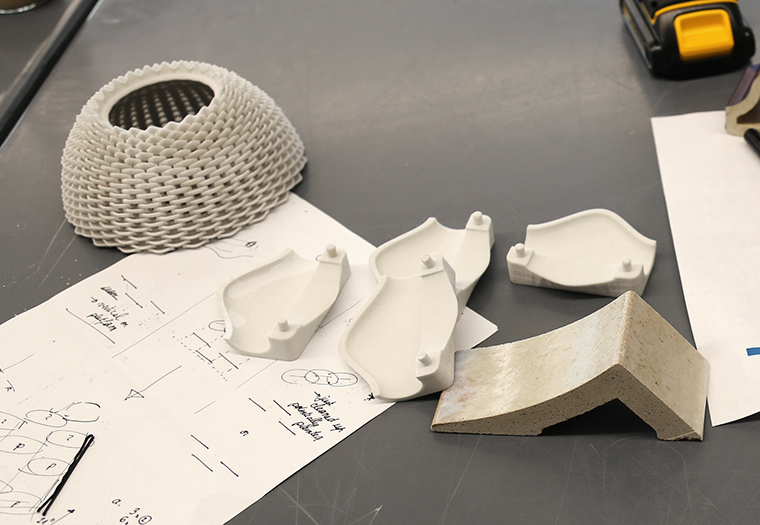 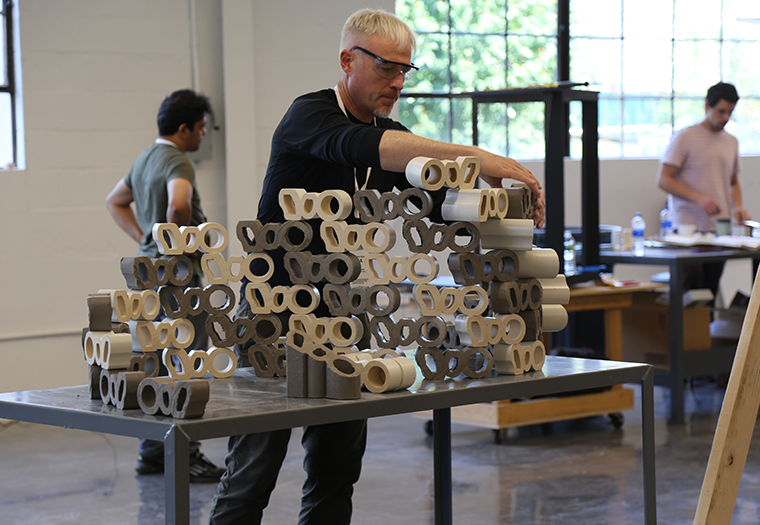 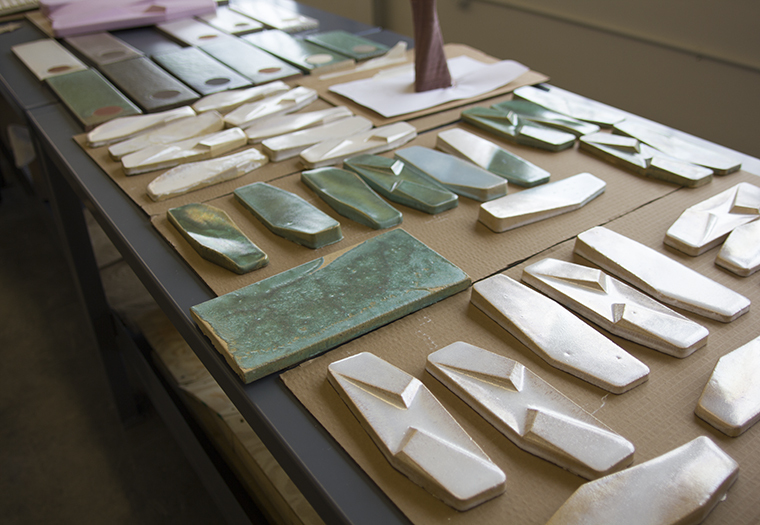 Team Radical Matter came together at the Architectural Ceramic Assemblies Workshop to investigate the design possibilities of terra cotta extrusions. 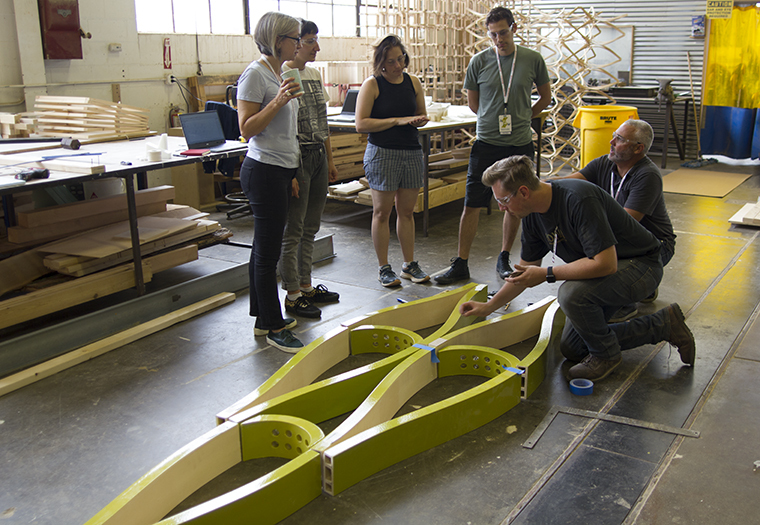 The collaborators of this team produced over 700 lbs. 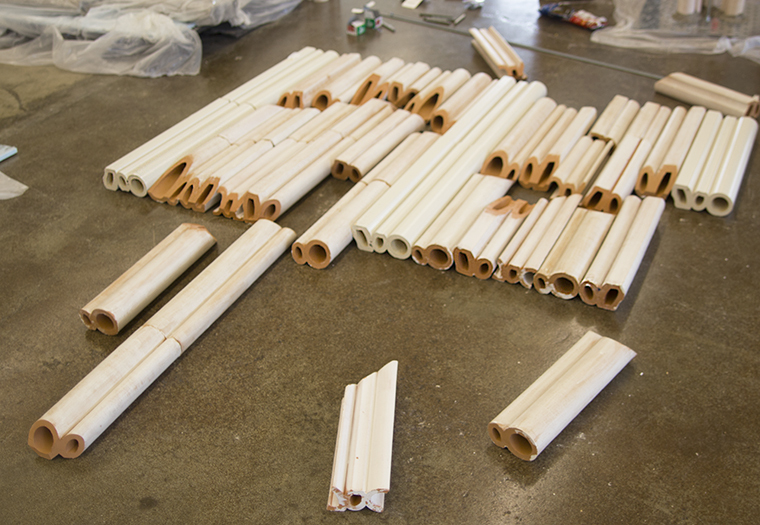 of terra cotta extrusions using several different extrusion dies. 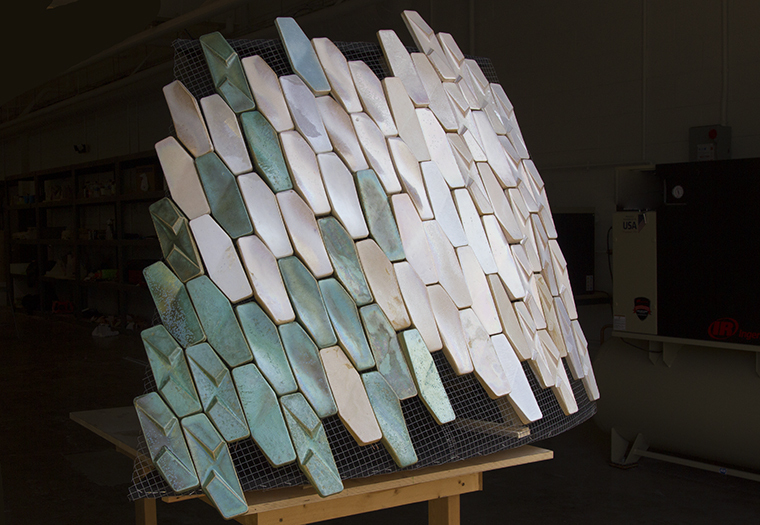 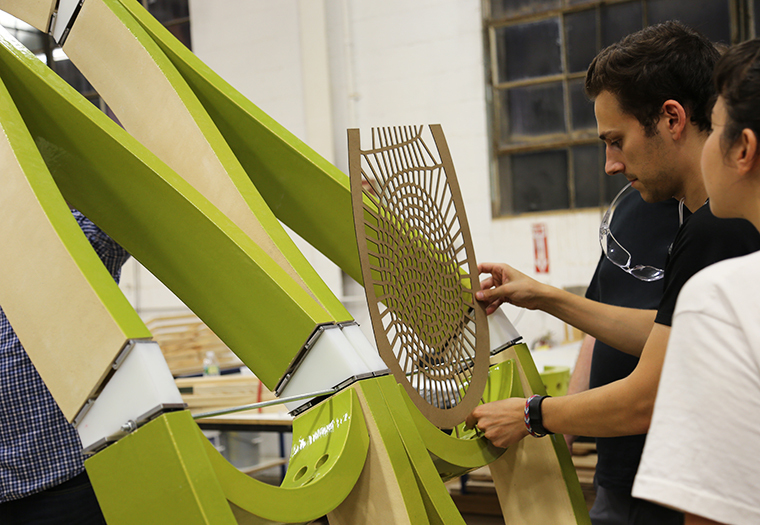 Their experiments resulted in the creation of linear self-supported screens and walls with combined extruded units.